So I have gathered all my brazing supplies and have made a few bumpers and rock sliders easy enough... I am really wanting to tear down my wraith and build something one off... As I look through all of the threads in this section see some AMAZING WORK. I was wondering if you guys are building these chassis off blueprint's or if there are general guidelines to follow. Ex. how do I get an idea of where my shock towers need to be brazed in and so on? I am wanting to build a fully body chassis with either a tacoma, hilux or f250 body. So do I get the body first to get my measurements for pillars and what not? No blue prints for me, I just start with the desired wheelbase, then free hand the rest. Those are just a few starting measurements to base your proportions off of, and get you started. The rest should fall into place with the neurosis of detail sets in. 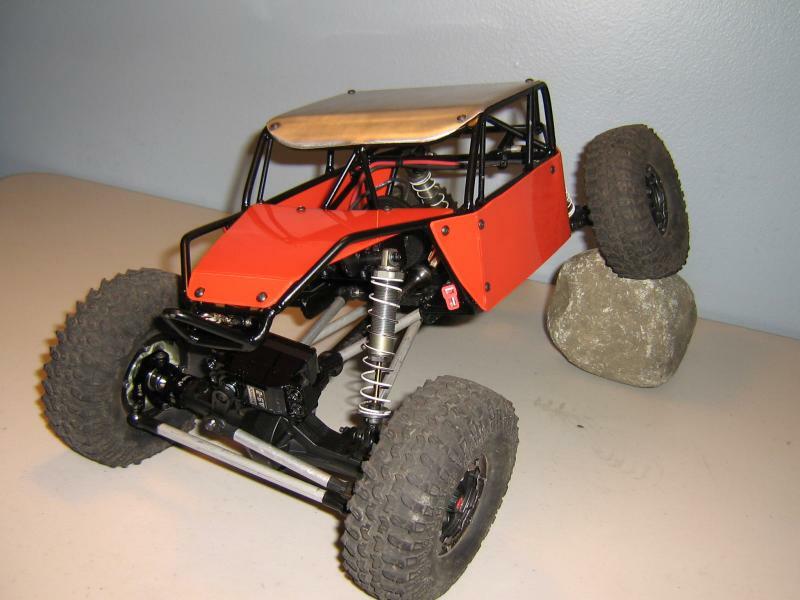 I useally look at pics of 1.1 rigs to get ideas ,the wraith is a nice platform to work with and if you keep everything as close to the same it will be a lot easier ,basicly just remove the chassis and leave everything else alone attached to the skid. I work off of images downloaded. I'll create some 2d sketches to get basic dimensions to follow. Then I just go. One question... 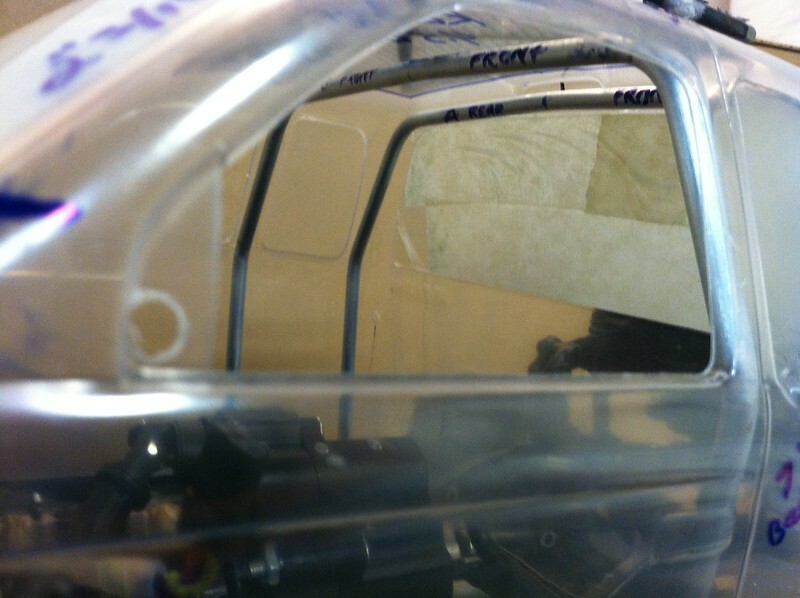 When your are building a chassis for a full body rather than panels, are you building Pillars and a roof line to Closely mimic the inside of the body? 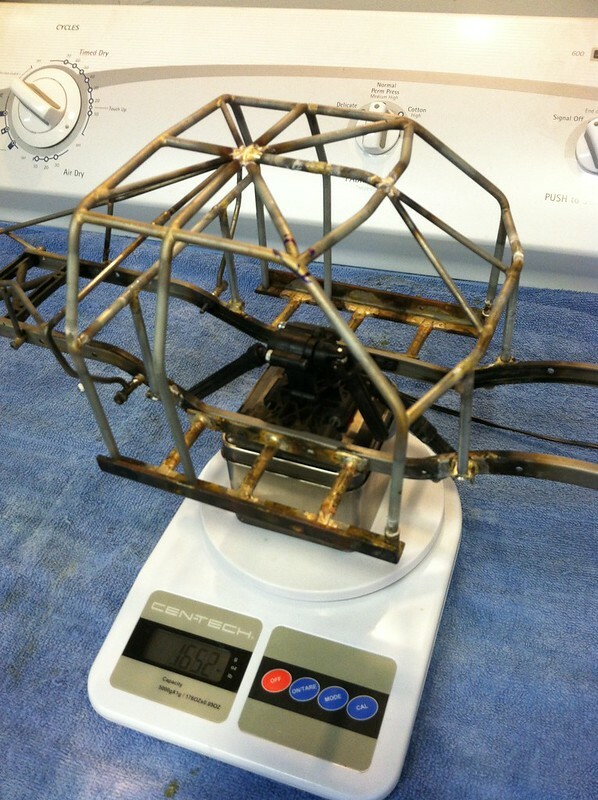 On my Honcho I did an internal cage and I got as close to the body as possible. There are few decent pics in my thread before I painted the body where you can see how it's a tight fit. Last edited by rockhugger; 01-22-2015 at 11:46 PM. I utilize a mix of both cad/cam and freehand/off the top of the head ideas as I go. Typically Ill get a rough idea together in my head and utilize basic cad programs so everything has the same bends/angles and is square once brazed. Freehand and alot of measuring and you'll be good to go. Dont be intimidated, only way to learn is to try. Good luck!! I freehand after width and wheelbase measurements figured out, its nice to have a nice piece of steel as a base to work on and I love using machinist step blocks to keep things even! are there any free cad programs you guys would recommend to teach myself on? how about sketchup? John I am with you man, after watching these guys I need to try and build a chassis. I need to ask you about the materials you are using next time we hit the trails. I've started with the body on my last build, and my current one. For the sake of the forum section, I'll use my 2.2 as the example. I'll trace a side view of the body on a piece of poster board, and then locate where I want my axles to sit to show the wheelbase. I'll then draw out a basic side view of my initial thoughts of how I want to build the chassis. From there I'll start bending tube/rod on using the poster board drawing(s) as a template. After this point, I work from measurements from the inside of the body, and around suspension compontents, or anything else I happen to overlook at the beginning. But most of all, have fun with it! I enjoy the build just as much as driving them. All of my rigs are built in my head days or weeks before I fire up the welder, I don't use blueprints. Most of the time when I am building a chassis I rarely even measure....its all built by eye and most of the time comes out pretty square. If I am making a chassis or part for some one I will sketch it on paper to give them an idea of what I am thinking. You won't know unless you try, if it doesn't turn out....toss it to the side and start over. Last edited by BLKXJ 96; 01-24-2015 at 11:03 PM.